1. Attendance: Tom Hall, President; Dave Miller, Vice President/Treasurer; Dan Ross, Secretary; Directors Lin Manning, Mike Walsh, Ken Weigand, Lew Gage, and Terry Matter. 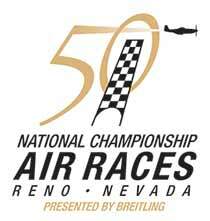 Liaison members: Mike Dikun, Reno-Stead Airport Manager and Trustee Bill Eck, RTAA Representative. BOD Member(s) absent: Don Osborne. There were 36 SAUA members present. 2. Minutes: Minutes of the October 11, 2011 meeting were approved as presented. 3. Treasurer’s Report: Cash on hand,$3670.24. Currently there are 60 members, eleven more since the first of the year. Currently, 39 of 60 members have paid their dues for the July 2011 to June 2012 membership year. 5. Officers and Directors: Dan Ross briefed the membership the project to provide WiFi service at the airport for tenants who are members. Tom asked Dan to continue to work the project and provide more detailed info at the December 13th meeting. 6. Airport Manager’s Report: The new Terminal building is in the final architectural drawing stage. All snow removal equipment is serviced and ready. Mike estimates that Stead is no more than 8-10 hours from full operation after a normal snowfall of 6-10 inches. Again, just as a reminder, current snow removal priorities are as follows: Fire lanes, runway 8/26, taxiway A, taxiways between hangars, runway 14/32, taxiway B, in that order. The survival course was a success with 8 people attending. The one lesson all the survivors learned was “that you simply can’t carry enough survival equipment in the aircraft to be comfortable”. An individual was arrested by the police after being observed using the far West end hangar construction area as a 4-wheeling speedway. Be prepared, new gate access controls are coming. 7. 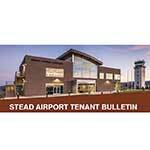 Stead Liaison Report: Dave Miller arranged for Dean Schultz, RTAA to give an in-depth update on the new Terminal building. The new Terminal is a multifunctional building that will replace a 60 year old building and a second hand trailer currently used by airport staff and tenants. It is envisioned as a community center that can be used by the general public and an Emergency Operations Center as well. The funding will not impact Stead tenants as far as ground rents are concerned. The final design is due mid-March next year with construction to begin in the Spring. Mr. Schultz estimates 10 months to completion at a cost of approximately $6.5 million. 8. Presidents Report: Tom briefed the SAUA activities since the April General Membership Meeting. The Young Eagles flights last June was very successful and another is planned for June 2012. Reminded the membership that SAUA contributes $1000 to a scholarship program to encourage aviation. RTAA has formed a committee, with SAUA represented, to study future insurance requirements(Hull) for Stead tenants. 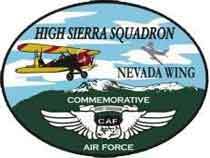 The June 2012 BBQ is being planned and possibly adding a fly-in breakfast. As mentioned above, WiFi integration at Stead. A local group is currently working to locate an Air and Space Museum at Stead. 9. Next Meeting: Board of Directors meeting December 13, 5:15p, at Tom Hall’s office, 305 South Arlington. 10. Adjournment: The meeting was adjourned at 6:45p.